Do you struggle with editing Instagram photos? 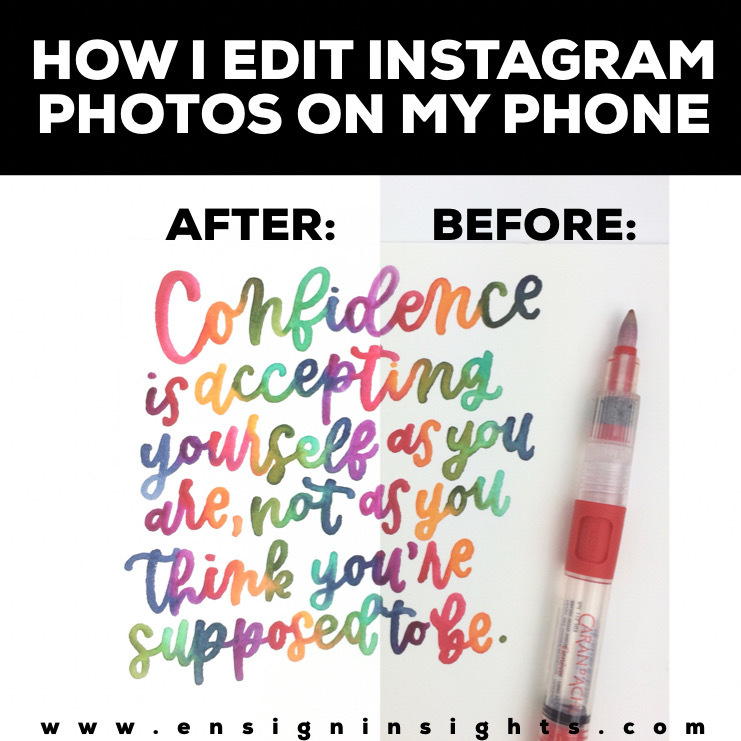 In this post I’m showing you how I edit Instagram photos on my phone with the free app by Google called Snapseed. Editing lettering photos for Instagram or Etsy product photos used to be such a headache! But it doesn’t have to be! Every Instagram account or Etsy shop has their own personality and style. My style is to have bright white backgrounds with my lettering being the pop of color. It’s really pretty, but it’s not easy to get the bright whites while not washing out any of the color. That’s why Snapseed is amazing! It helps you do just that! Here is the video tutorial to show you exactly how I edit Instagram photos on my phone in Snapseed. I’m showing you with a lettering photo that has a lot of colors. At the end of the video you can see the before and after contrast of watercolor photos and lettering photos. If you want to learn how to edit lettering videos, check out my Skillshare class on how to film and edit lettering videos on your phone. You can even sign up with that link to get 2 months of Skillshare free. I really hope this video tutorial will help you to feel more comfortable in being able to edit your art videos, lettering videos, or watercolor videos to create a cohesive style for Instagram or even for Etsy product photos.